OVERSEAS Education in Italy is Mandatory from 6 to 16 years of age, and is divided into Following - kindergarten , primary education , lower secondary education ,upper secondary education and university. Public and Private education systems both exist in Italy.In Italy a state school system or Education System has existed since 1859. In 1999, in accordance with the guidelines laid down by the Bologna Process, the Italian university system changed from the old systemto the new system. The New Systemsplit the former Laurea into two tracks: A three-year Bachelor's Degree, followed by the 2-year Master's Degree, the latter renamed Laurea Magistrale in 2007. A new credit system was started to know the amount of work needed by each course and exam (25 work hours = 1 credit), as well as enhance to change course of studies and give the facility the transfer of credits for further studies or go forErasmus Programme in another country. Now there is just a five-year degree for Law and a six-year degree for Medicine. Italy has a large and international network of state affiliated universities and schools offering degrees in higher education. 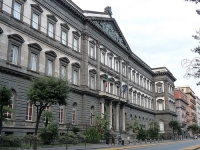 State-run universities of Italy constitute the mainly of tertiary education in Italy, and are managed by the Italian's Ministry of Education.Italian universities are one of the oldest universities in the world. Most universities in Italy are state-supported.Italy hosts a broad variety of universities, colleges and academies. There are also a number of Superior Graduate Schools or Scuola Superiore Universitaria, officially offers recognized titles, including the Diploma di Perfezionamento equivalent to a Doctorate. i.e. Research Doctorate or Doctor Philosophiae i.e. Ph.D.Some of them also organize Master's degree. There are three Superior Graduate Schools having "university status", three institutes with the status of Doctoral Colleges, which runs at both graduate and post-graduate level. Nine further schools are offshoots of the universities.